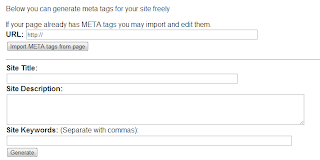 Meta tag generator are an essential part of the blogger template and website. 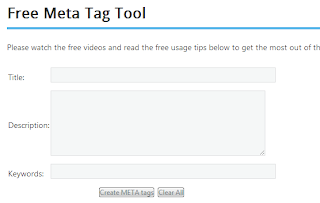 In this post you will get answers of your all questions like "what is meta tag" and "how to insert meta tags in blogger". Google search engine loves meta tags because it makes easier for search engines to easily index. 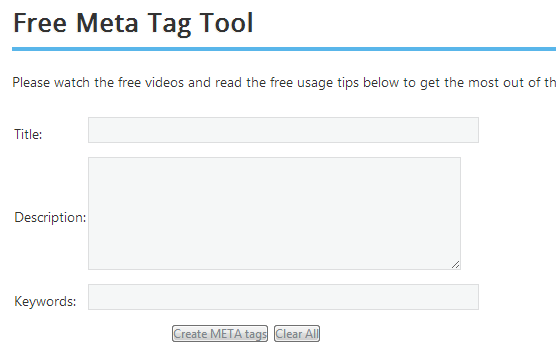 This online meta tag generator tool automatically creates an SEO friendly meta tag and for free to get traffic from Google. You just have to type your blog title, description and keywords then it generates meta tag which can also be inserted in blogger. 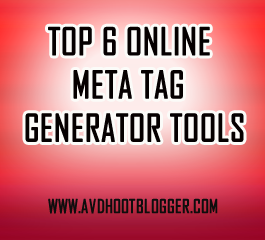 These are the best and top 10 online meta tag generator tools for blogger also. Some webmaster say that Google ignores meta tags but these are still important for other search engines like Yahoo, Bing and many others. So it is better to insert meta tags in your website or blog and receive traffic from other search engines also than the ignoring. 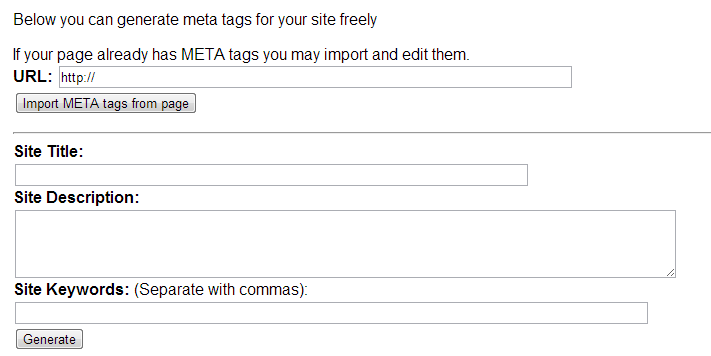 So below are the list and links where you can make your own meta tags. Submit corner is a free meta tag generator tool. It uses 7 types of meta tags . Pure SEO friendly meta tags. Online meta tag is the no. 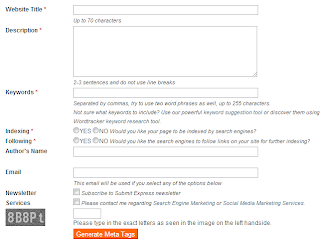 2 meta tag generator tools for bloggers and website. It requires title, description and keywords of your website and the rest of the work is done by this tool and that is meta tag. SEO book requires title, description and keywords of your website and then create meta tags for blog or website. 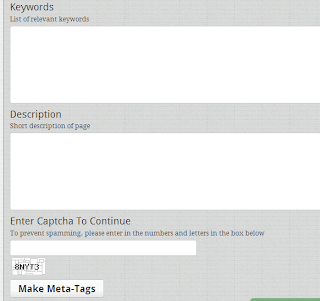 Along with it has video also to show you how to insert meta tags in your website. Seochat is also a renowned meta tag generator tool for blogger and website. It requires description and keywords of your website fulfill it and it will create meta tags for your website or blog. 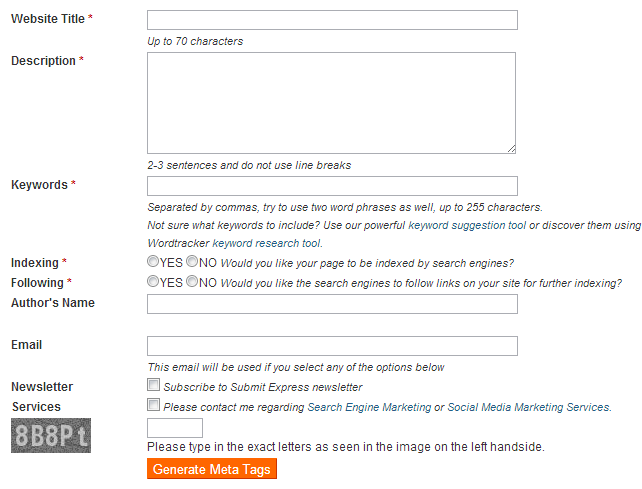 Submitexpress has many options for meta tags like. Website title, description, keywords, indexing, following, author name, email, newsletter and services. Awesome meta tag generator tool. Webmaster toolkit has also lots of tools, among them a meta tag generator tool is the best to use. Same function like other tools.